Or view larger version. Mission Carmel. 1892. Helen Tanner Brodt. Pastel on canvas. Collection of Oakland Museum of California. Gift of Virginia Perry Wilson. This is a pastel on canvas of Mission Carmel. Mission San Carlos Borroméo del río Carmelo, also known as the Carmel Mission, is a Roman Catholic mission church in Carmel, California and was the second mission established in Alta California. 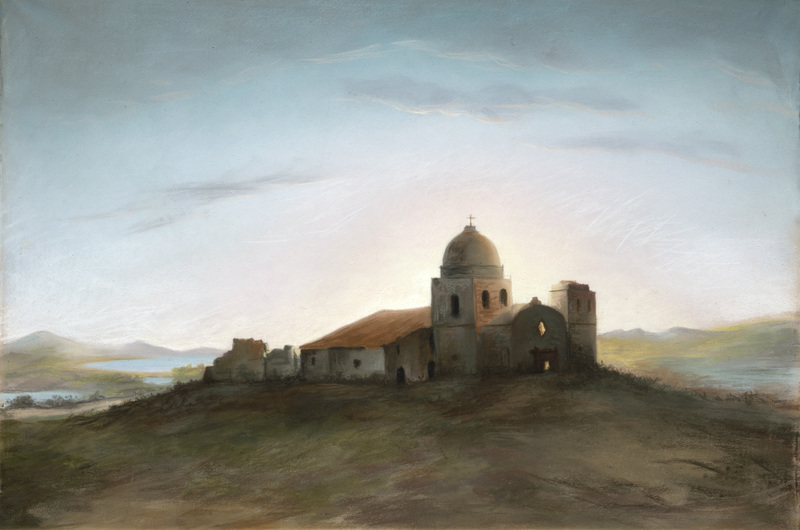 The mission was first established 1770 near the Monterey Presidio and was moved to its present location in 1771.